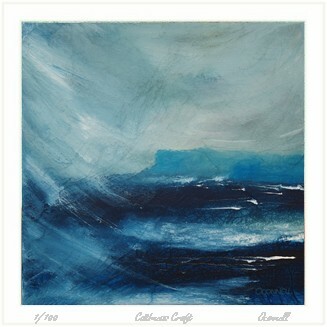 Dunnet head is the most northerly point of the Scottish mainland in the county of Caithness Scotland. 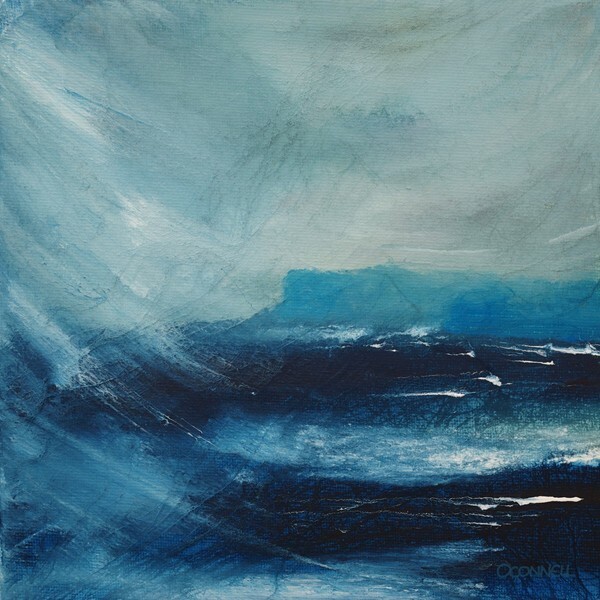 This painting was inspired by the severe winter storms that batter this windswept headland. 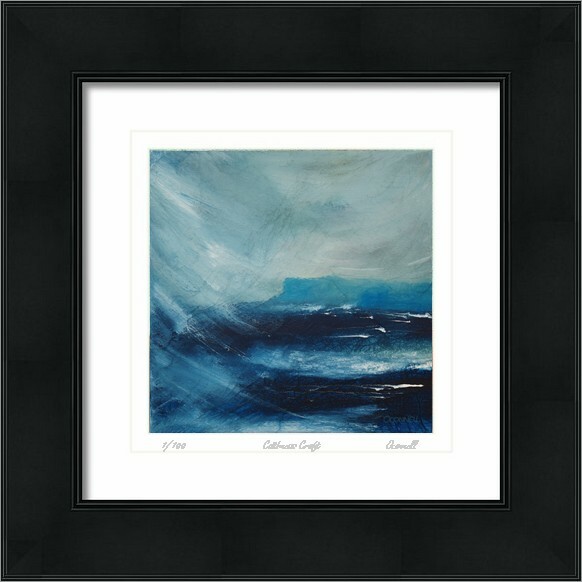 This original Scottish seascape painting was painted in a contemporary impressionist abstract style in cold blue colors on a lightly textured canvas. 12" x 12" & 20" x 20" on textured watercolor style paper.